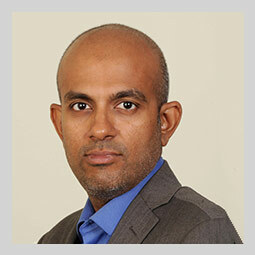 Venkat is a co-founder of Veda and has 25 years of hands-on experience in the investment banking business. A pioneer in the investment banking space in India, he has been closely associated with the growth of the Indian VC/PE industry since the mid-90s. He has an enviable track record of transaction closures in Private Equity as well as M&A, having crafted several defining transactions across domains such as Services, Infrastructure and ITeS, amongst others. Venkat is a successful entrepreneur, having co-founded Mantra Consultants in 1998, a boutique investment bank based in South India, which was subsequently acquired by Ernst & Young in 2001. He was an Associate Director at Ernst & Young before co-founding Veda in late 2003. Venkat is an Associate Member of the Institute of Company Secretaries of India. He is a regular speaker in industry forums and his views on are often quoted in the business media. Venkat is a voracious reader of cricketing prose, connoisseur of test match cricket, has dabbled with cricket writing and commentating in early days, keen interest in politics and current affairs, cat lover, horse racing enthusiast and unfulfilled ambitions include penning a movie script and leading home a derby winner. Srikanth is the co-founder of Veda and has 20 years of well-rounded experience in investment banking and private equity. He has advised and assisted many companies in their funding plans and M&A. He has also invested in companies, been on their boards, taken part in their growth strategies and successfully raised funds/acquired businesses for growth. Before co-founding Veda, Srikanth was with Ernst & Young, leading the private equity and M&A activities in the technology & services sectors. Prior to that, he was with ICICI Venture, the private equity arm of ICICI Bank (listed on NYSE), investing and managing a portfolio of investments. He was also with RelQ Software, the leading software testing services firm in India, managing their corporate planning activities including acquisitions and fund raising. 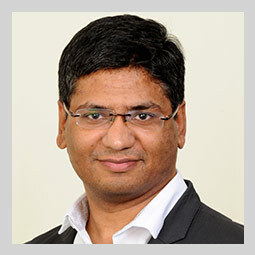 He has corporate experience as well, having worked with companies like TATA Motors and TATA Technologies. Srikanth has an MBA from IIM Bangalore and holds an Engineering degree from BITS Pilani. Srikanth is a keen follower of sports, specifically football, having represented his school and college, when he was much fitter. The only thing that can keep him awake at midnight (which even clients have not been able to manage to) is a good game of Champions League or World Cup Football. 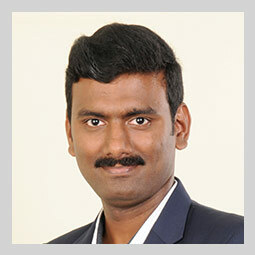 He is also extremely passionate about social & civic issues and has been playing an active part in Bangalore governance through engagement with the Government and civic agencies as the General Secretary of Bangalore Apartments’ Federation. 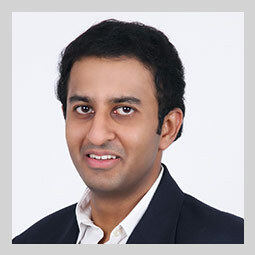 Sivaraj brings to the table strong client relationships and deal-execution skills. In the last 15 years of his journey as an investment banker, about half of the 25 deals that Sivaraj has been involved with at Veda, have been transactions with repeat clients, including entry of PE funds, exit to PE funds or M&A opportunities. His focus areas include ITeS, healthcare & med-tech, infrastructure and education. 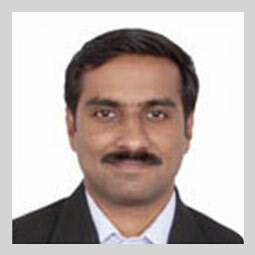 Prior to Veda, Sivaraj worked with Deloitte and E&Y in their Assurance and Advisory practices. Sivaraj is an associate member of the Institute of Chartered Accountants of India. When not crafting presentations and brokering deals, Sivaraj dons a chef’s hat or indulges his love for reading books on spirituality or going on a long drive. His dream is to drive from Chennai to London. Vijay’s focus areas of interest at Veda are Healthcare, Technology and Business Services. Having concluded marquee deals for market leaders like Aster DM Healthcare, Financial Software & Systems and BharatMatrimony Group, Vijay brings 15 years of experience in advising on several industry defining transactions. Prior to joining Veda, he was with ICICI Prudential Life and American Express Bank. Vijay has an MBA from IIM Lucknow and is an Associate Member of the Institute of Chartered Accountants of India. Besides the pedigree and experience that Vijay brings to Veda, he also brings his love of auteur cinema. If he’s not rewatching a Ray or Kurosawa, you could catch him with his backpack in the Himalayas or playing cricket for his club. Abinandan has over 10 years of experience in M&A, PE and structured finance transactions. 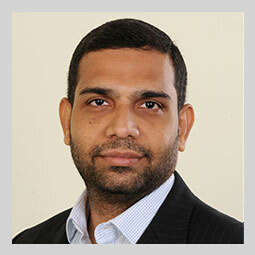 He has worked on 25+ end to end transactions across sectors such as consumer, services, manufacturing, healthcare & ITeS. Prior to joining Veda, he worked with Broadstripe, a leading telecom company, in their Corporate Development/M&A team at Michigan. Abinandan has an engineering degree in Computer Science & completed MBA from Washington University, USA. He has also completed all 3 levels of the CFA program from CFA Institute, USA. Abinandan is a sports enthusiast and on a weekend, he can be found playing squash, tennis or badminton. Or perhaps just keenly listening to music or tickling the ivory so to speak on his piano or making his violin strings sing. Gana as he’s fondly called by us at Veda, joined the team in 2010 and comes with over 12 years of expertise in investment banking, having extensively worked on Private Equity and M&A deals with deal value totaling to about US$ 1Bn across sectors including Healthcare, Telecom, Real Estate & Hospitality. 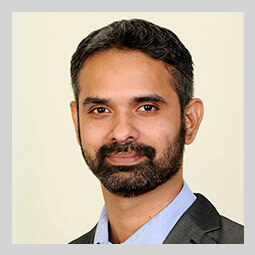 He started his career with Aircel Corporate Strategy team (focusing on Telecom and F&B space) and later moved to Ernst & Young – Lead Advisory practice in 2005 as part of the Real Estate & Hospitality team. Post joining Veda, he has been part of multiple marquee deals including Rainbow Hospitals – CDC, Global Hospitals – IHH, Global Sports Commerce – Emerald Media transactions. Gana is an Associate Member of the Institute of Chartered Accountants of India. A sports enthusiast, Gana’s other interests include watching offbeat movies, listening to film music and being active on social media. Rajan has more than 10 years of experience in transactions and has worked extensively on deals across Healthcare & Infrastructure space. Having concluded transactions for Global Hospitals, Raj Petro Specialities, Aster DM Healthcare, Dr. Agarwal’s Group and Trivitron Healthcare, Rajan brings strong execution skills and experience in handling cross border / structured transactions. He has prior work experience with Ernst & Young’s Transaction Support team, where he was involved in financial due diligence across various industry verticals with focus on infrastructure transactions. Rajan is a CFA® charter holder and an Fellow Member of the Institute of Chartered Accountants of India. Rajan’s way of ‘chilling’ is to play his guitar or just travelling to distant lands and exploring the world and its myriad facets. Atul has over 10 years of experience in leading and managing fund raising and advisory transactions especially focusing on consumer sector. Prior to joining Veda, he worked with JM Financial’s investment banking business and KPMG’s Transaction Advisory business. Atul completed his MBA from Indian School of Business, Hyderabad and is also an Associate Member of the Institute of Chartered Accountants of India. Atul is a cricket enthusiast and can engage any other cricket lover on a lively debate on the game.